A court has heard that a young girl was found "screaming and crying" in the street at half-past-midnight after her mum spent all day boozing on WKD alcopops. According to The Su UK, police found the pre-school aged youngster being comforted by an older child before the woman, who cannot be named to protect the tot's identity, emerged from a nearby house. 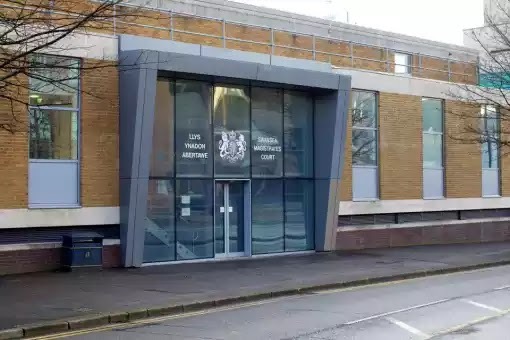 Swansea Magistrates Court was told that the mum, from the Port Talbot area, said she had spent the day drinking WKD after having an argument with her partner. Magistrates heard that her speech was slurred, she was unsteady on her feet and her eyes were glazed. The court heard that a few days after the late night incident the woman went into a CostCutters shop and started smashing biscuits, bottles of alcohol and other items after being refused service because of her intoxicated state. The mum had previously pleaded guilty to being drunk in charge of a child and to criminal damage. She also admitted failing to turn up for three probation interviews to enable a pre-sentence report to be written when she appeared in the dock for sentencing. Nick Devonald, for the defendant, said the woman had been going through “an extremely difficult period of her life”, and the child no longer lived with her. She was sentenced to 10 weeks in prison, suspended for 12 months. She was also ordered to pay prosecution costs of £85 and a court surcharge of £115, along with £350 compensation to the Costcutter shop. The money will be deducted from her benefits at the rate of £10 per fortnight. Magistrates told her they had “seriously considered sending you down today - this is your last chance”.